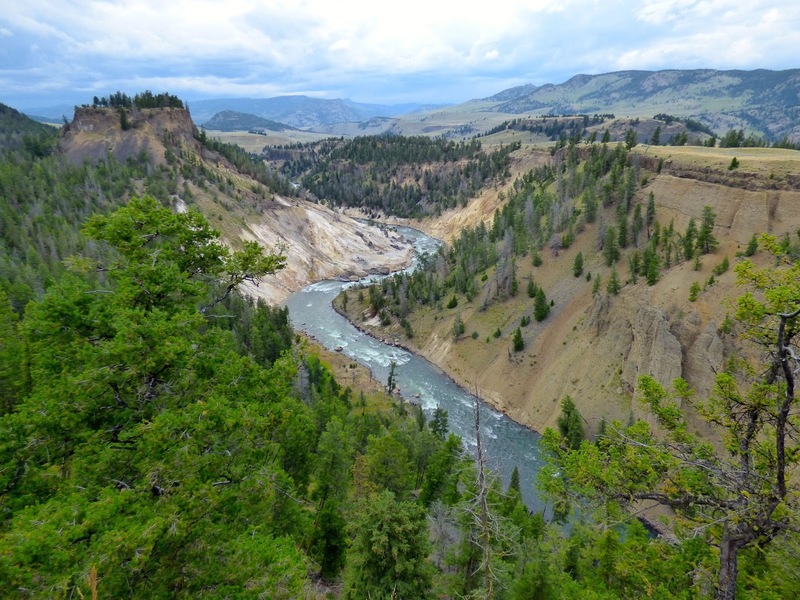 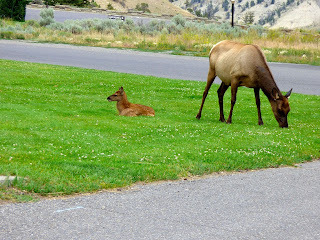 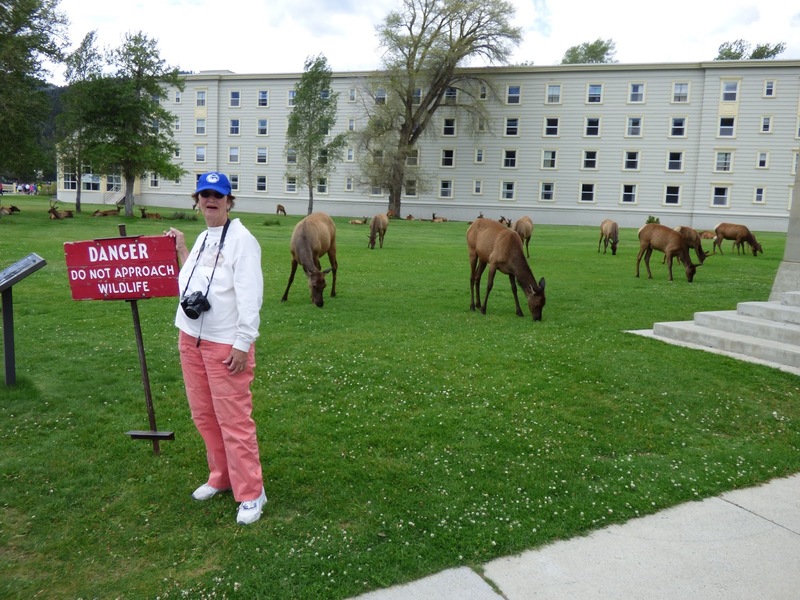 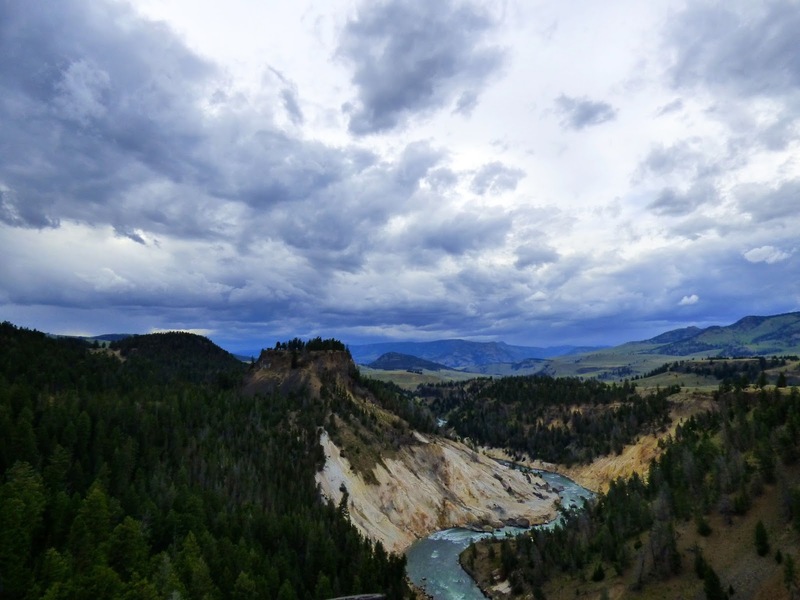 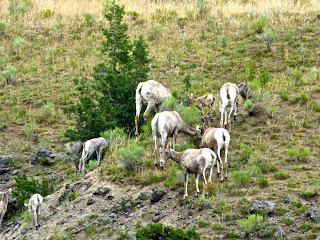 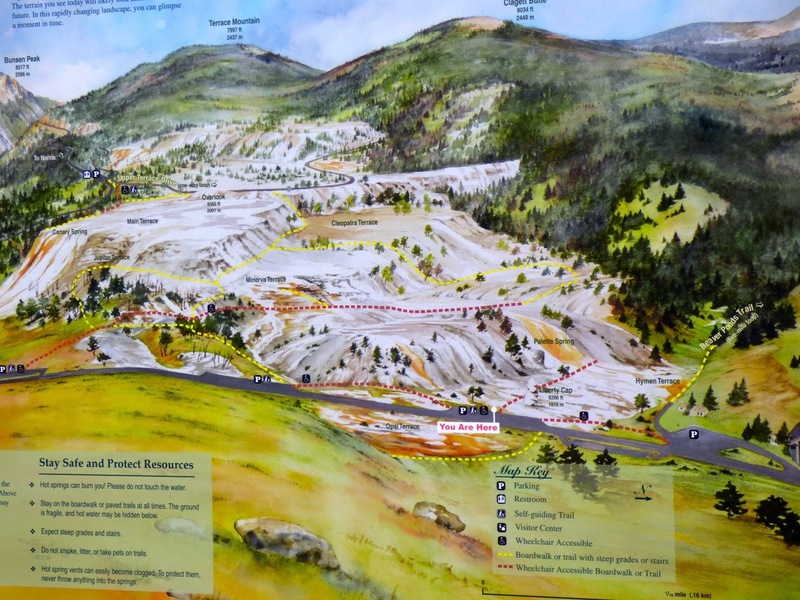 A drive this afternoon back to Mammoth Hot Springs for photos of Lower Terraces and more Elk. 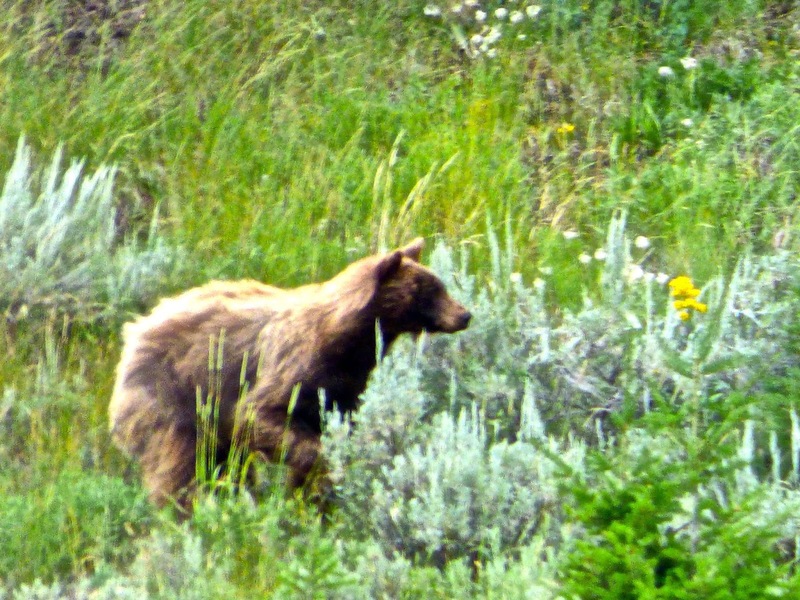 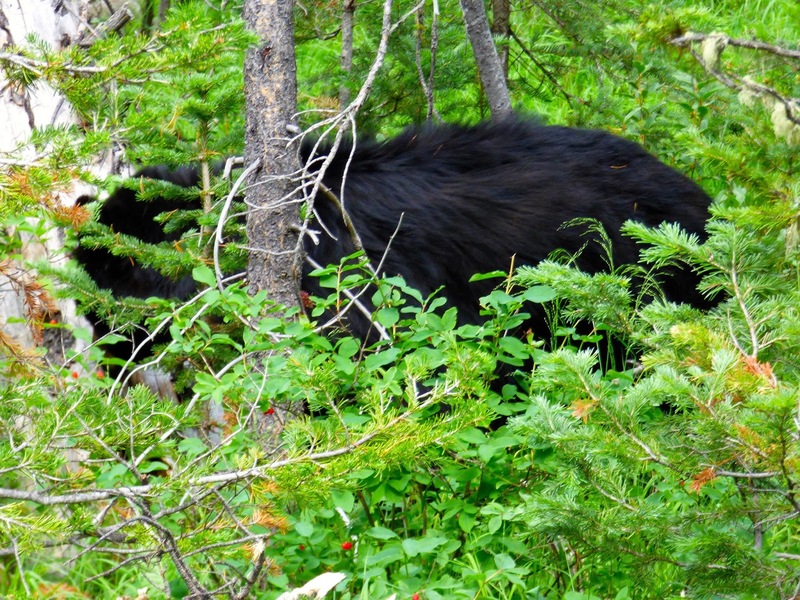 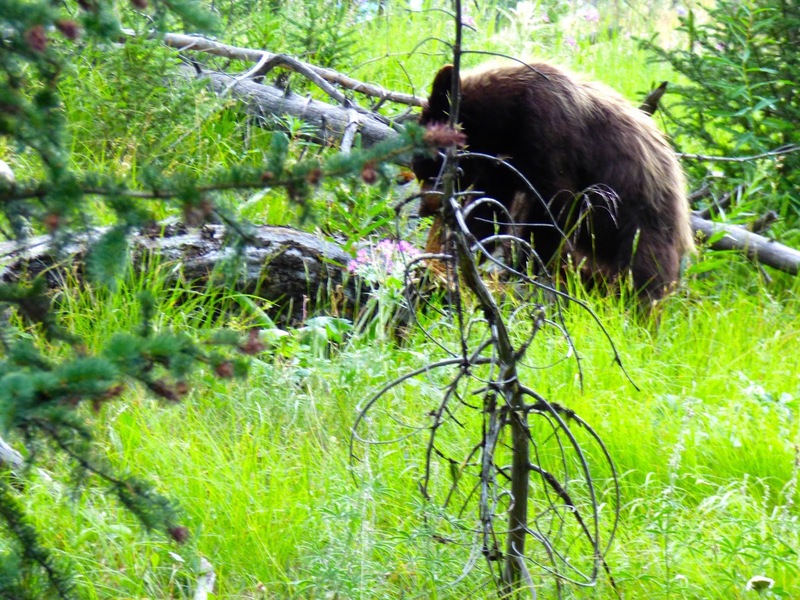 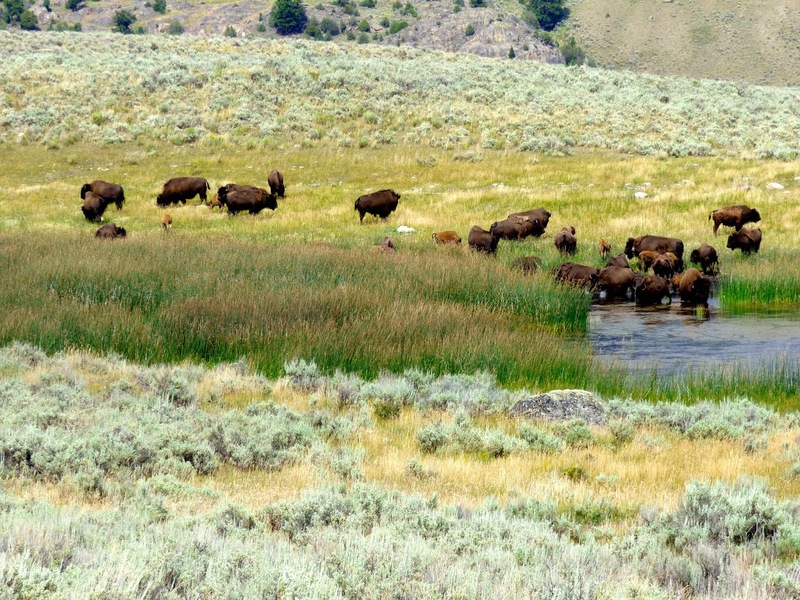 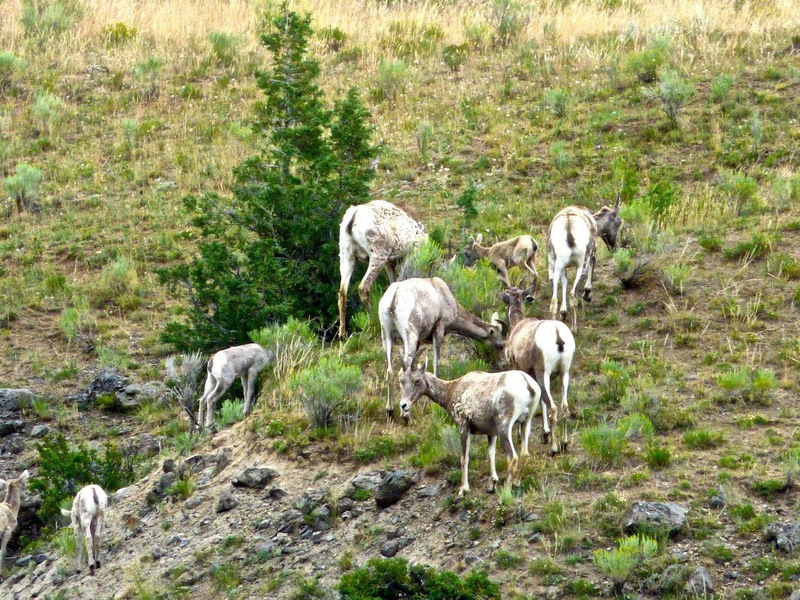 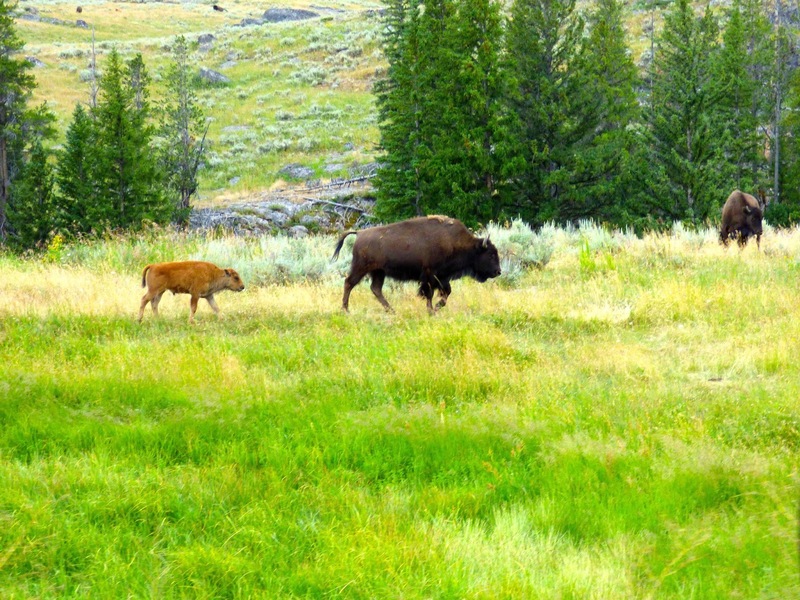 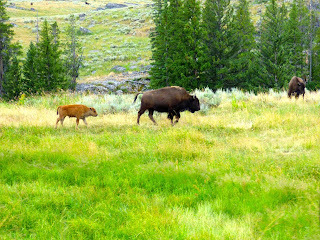 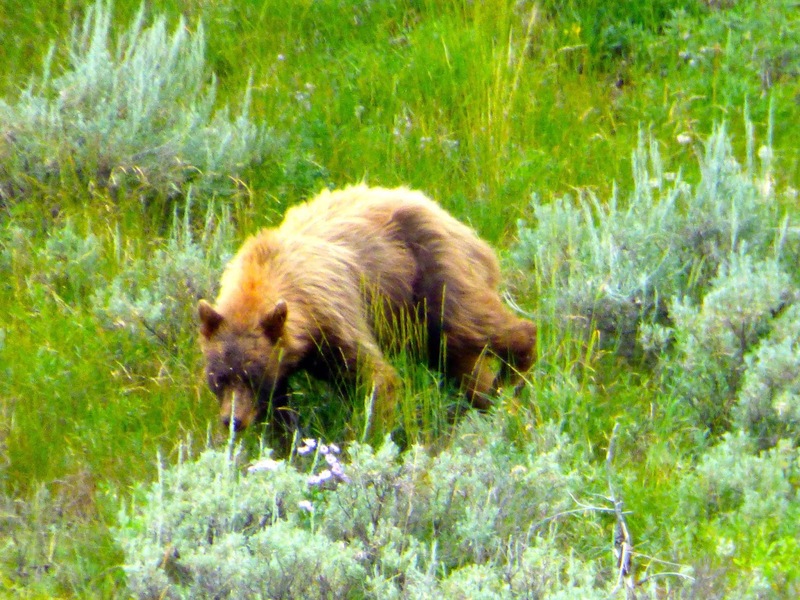 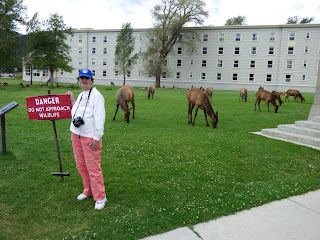 For those of you who read my blog, you know I never tire of animal pictures.Also we were told that the best animal viewing is in early morning or evening in the Lamar Valley which is east of Mammoth toward the Northeast Entrance and Cooke City MT. 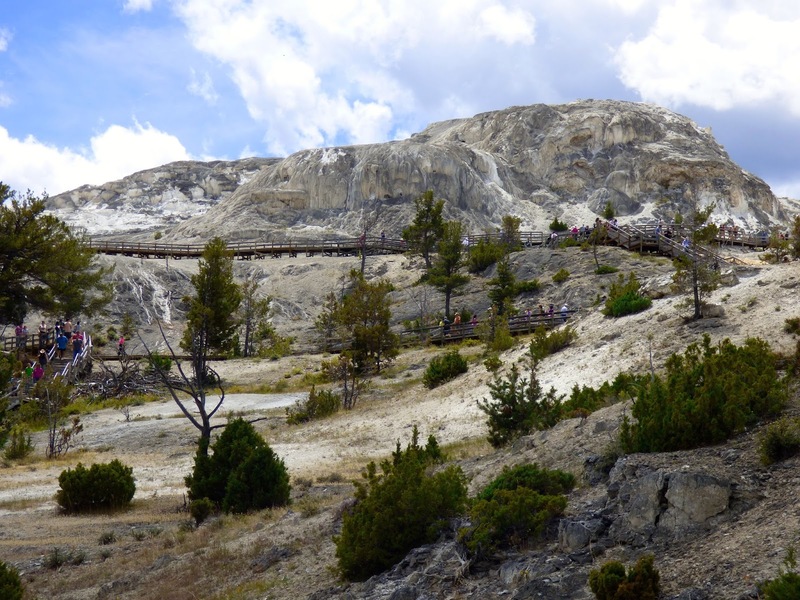 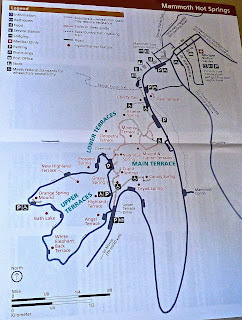 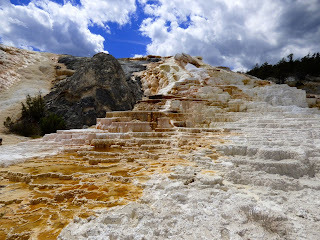 Since we did the Upper Terrace Drive earlier, we only walked around the Liberty Cap and Palette Spring. 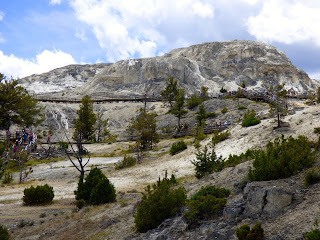 The walk is strenuous from the Lower to Main to Upper Terraces with many stairs and inclines. 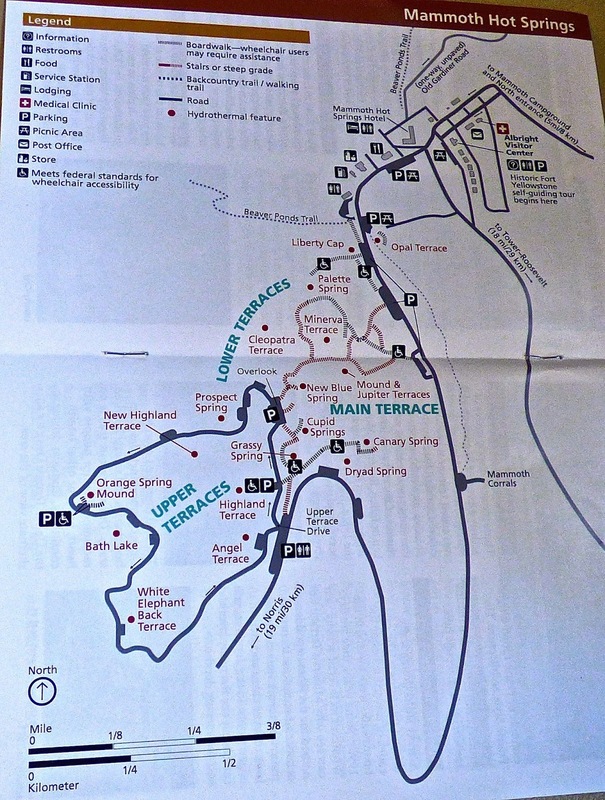 In our 1998 visit this was not a problem for us. Liberty Cap was created by a hot spring that was active in one location for many years. 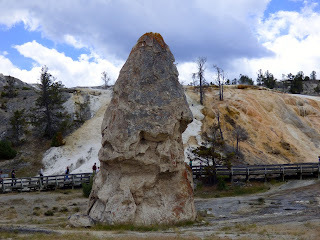 It stands 37 feet and was so named because it resembled knit caps symbolizing freedom and liberty during the French Revolution. 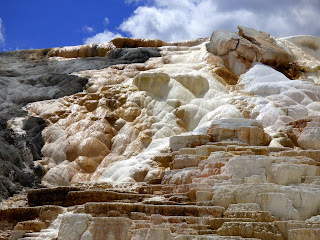 Palette Spring water flows create pattern hues of orange and brown flowing down a steep ridge. 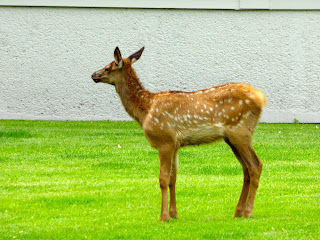 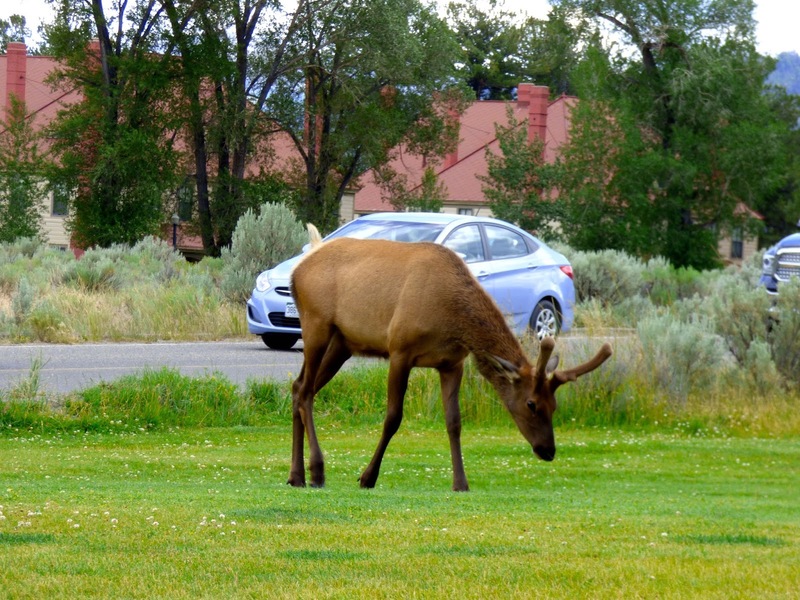 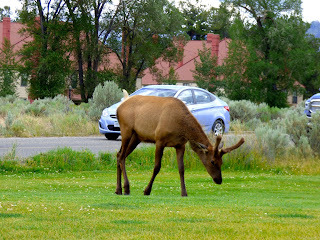 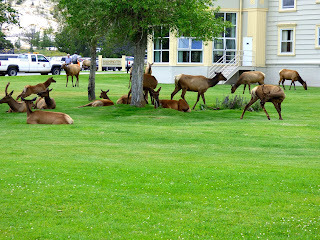 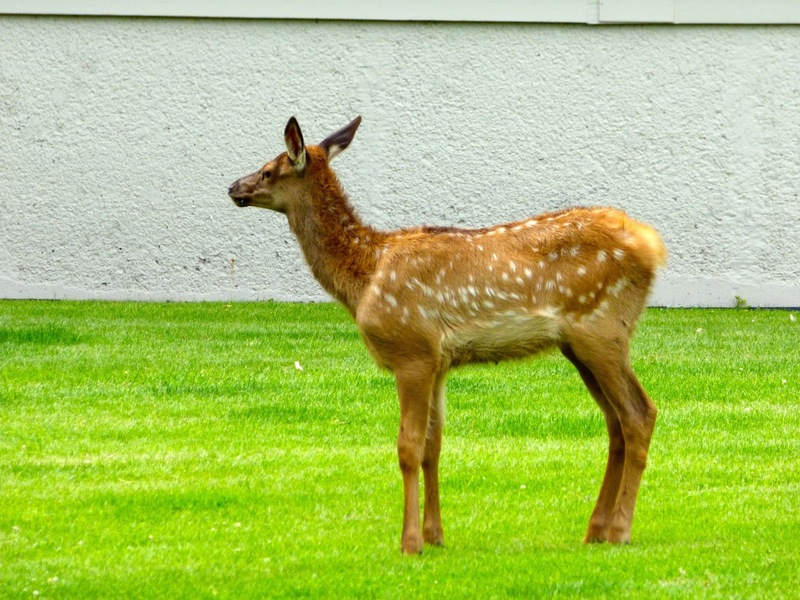 There were so many elk around the Visitor Center. They seem not to mind the horde of visitors, vehicles etc. Just content with grazing and napping. Even the calves and cows are not bothered by all the picture taking. 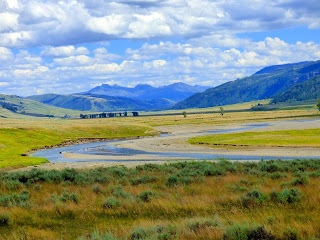 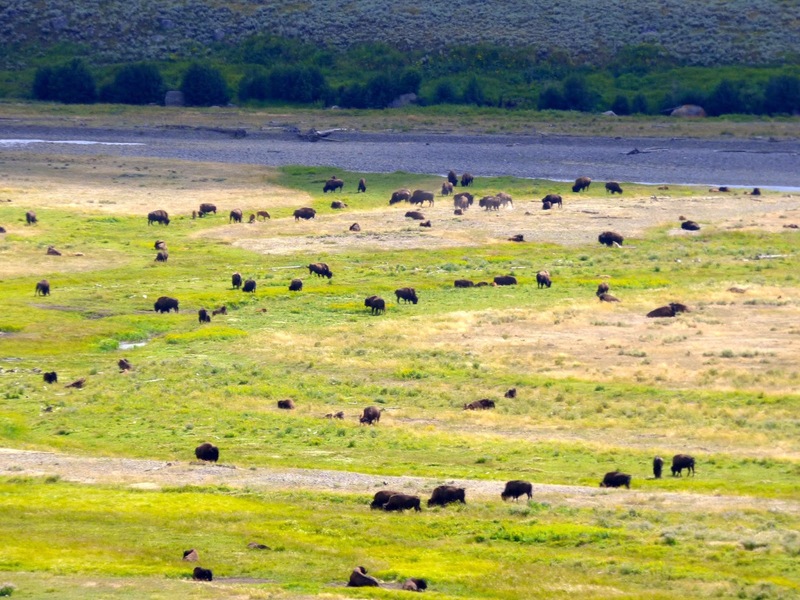 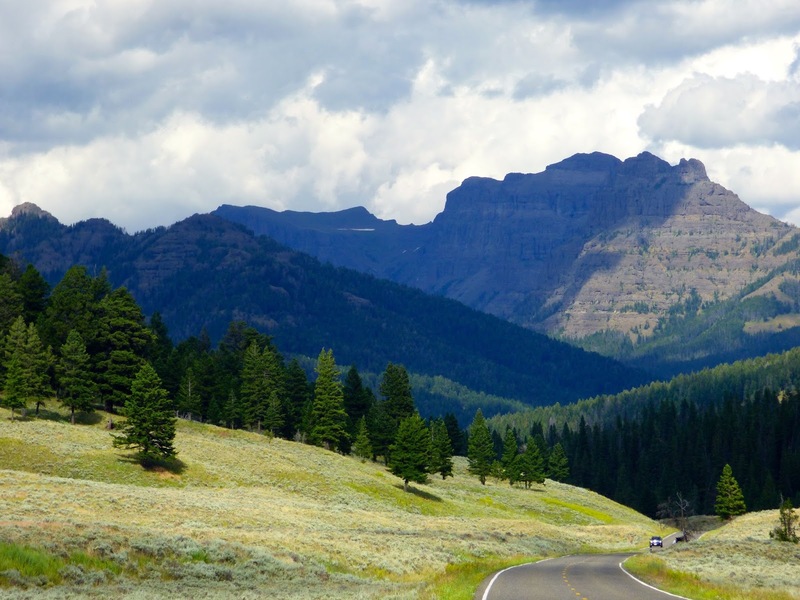 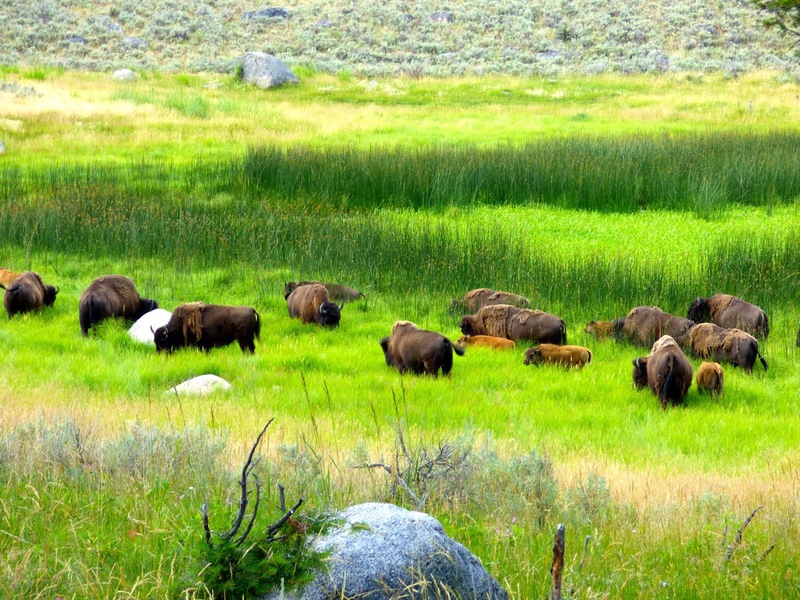 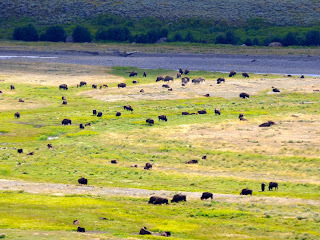 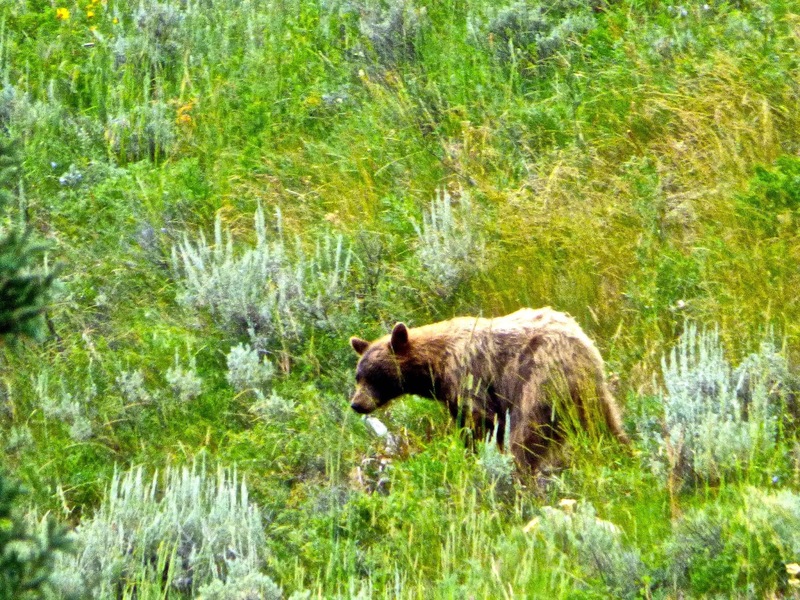 Our drive through Lamar Valley to Cooke City in Mt was most scenic with herds of bison, several bears and one pronghorn. 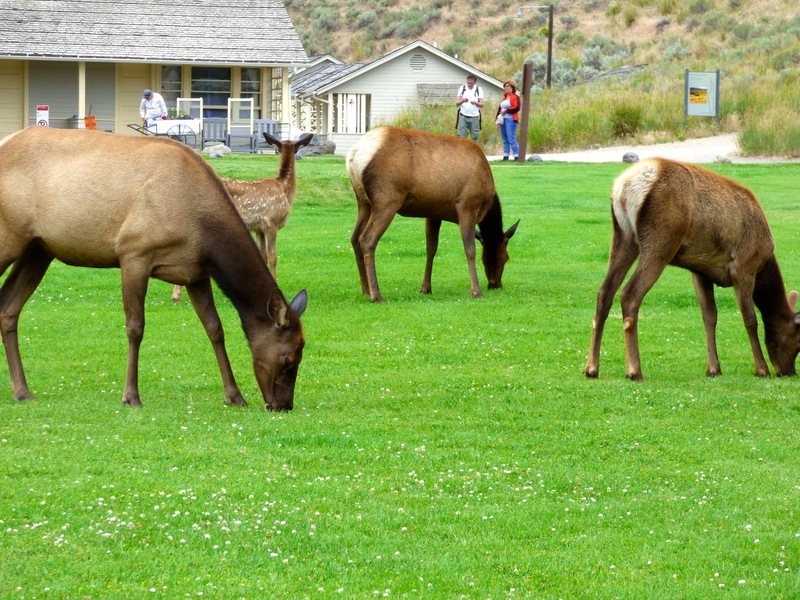 A lush area for grazing. In Cooke City we had a late lunch at "Cafe Bistro" before driving back to Tower Roosevelt and south to Canyon Village and West Entrance. 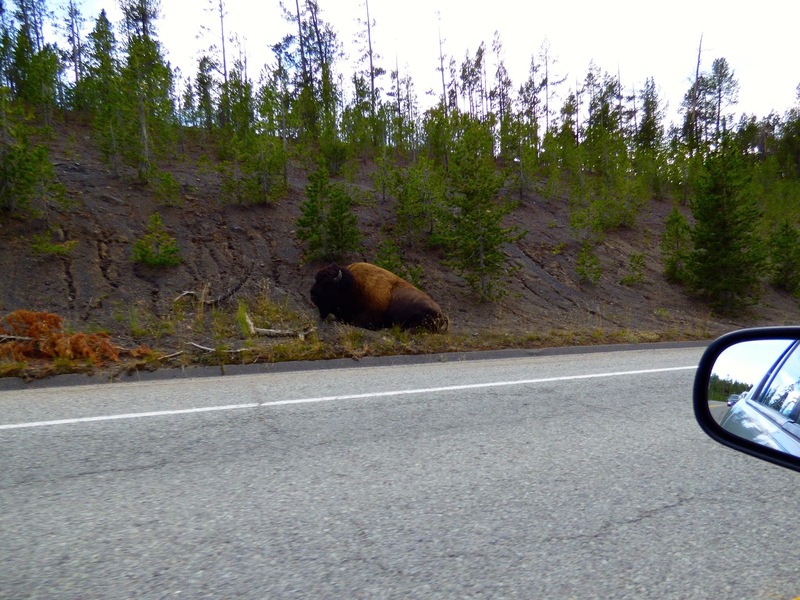 Got home around 830PM with another Bison Jam delay on road from Madison to West Entrance. 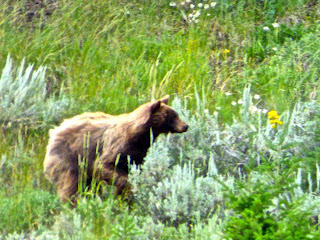 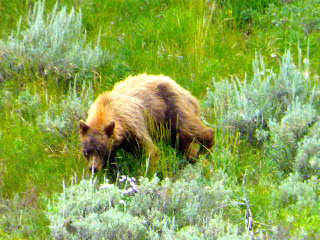 By the time we saw the Bison, he was relaxing beside the road. 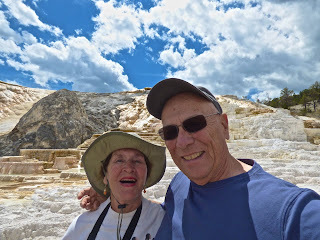 On the road from Tower Roosevelt to Canyon Village we stopped at Calcite Springs overlook. 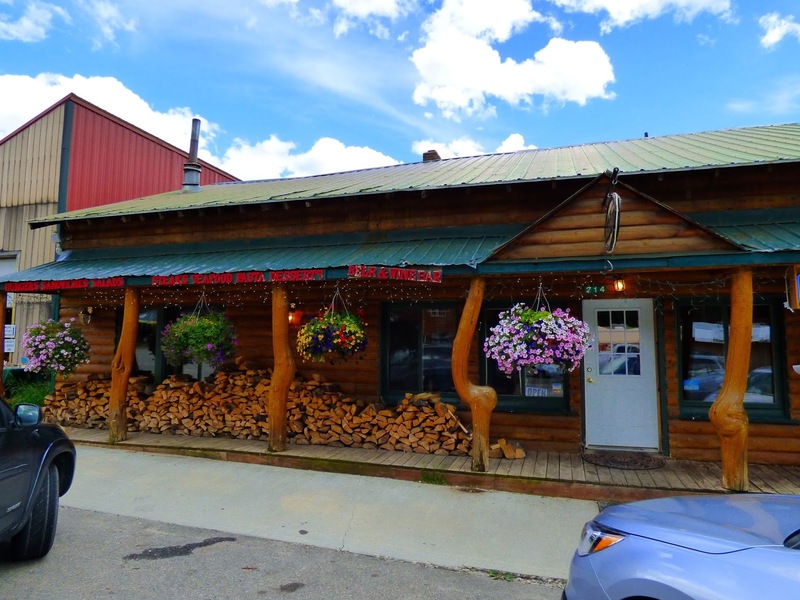 Also Tower Falls General Store for some delicious ice cream. Since it was getting dark and overcast decided not to do the hike to Tower Falls around 150 yards from the store.